The delightful British-turned-Texan baker launched The Sticky Toffee Pudding Co. in 2004. When Costco approached her for a line of family-size puddings for their stores, new packaging was in order. The design is modern, but the feeling is undeniably English countryside kitchen. 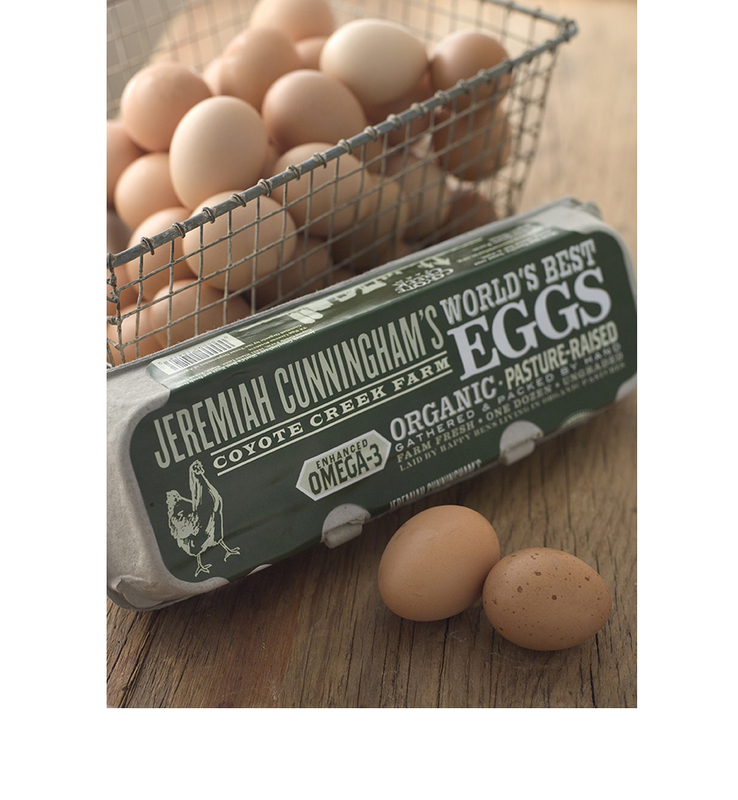 Fresh egg packaging and organic poultry feed bags with hand-drawn Coyote Creek logo. To this day, one of my favorite projects for one of my favorite people. Over 30 varieties of paper and plastic bags were redesigned and updated with simple branding and quality messaging. Selected for recognition in Print Magazine's Regional Design Annual. This one-woman show started baking her own gluten-free foods for her family. Friends and family told her she should share her creations and this locally made, handcrafted brand was born. Monochromatic printing and simple messages on recycled materials boxes highlight fresh bakery items. The owners of Lucky Dog Cuisine had an old company signboard with funky vintage lettering that was just to good to be tossed out. So the type was digitized, tweaked and tightened and the new logo was designed around it. The packaging design followed. 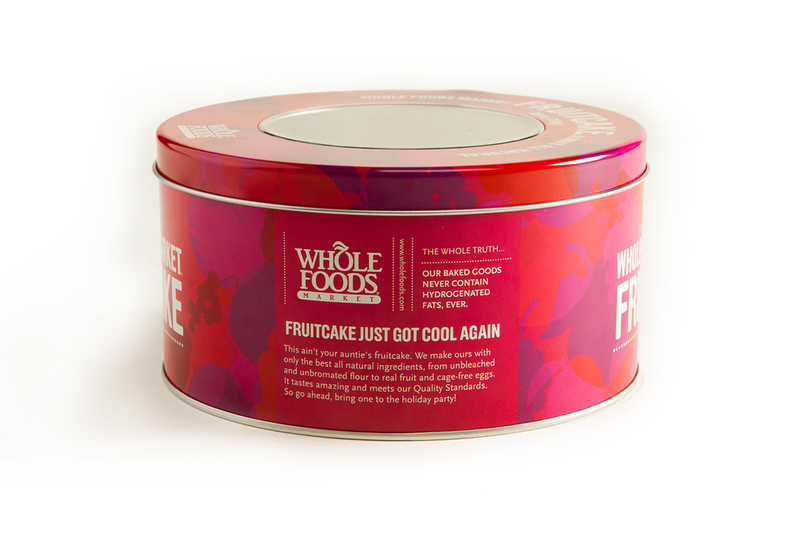 The first line of copy reads, "Fruitcake just got cool again." 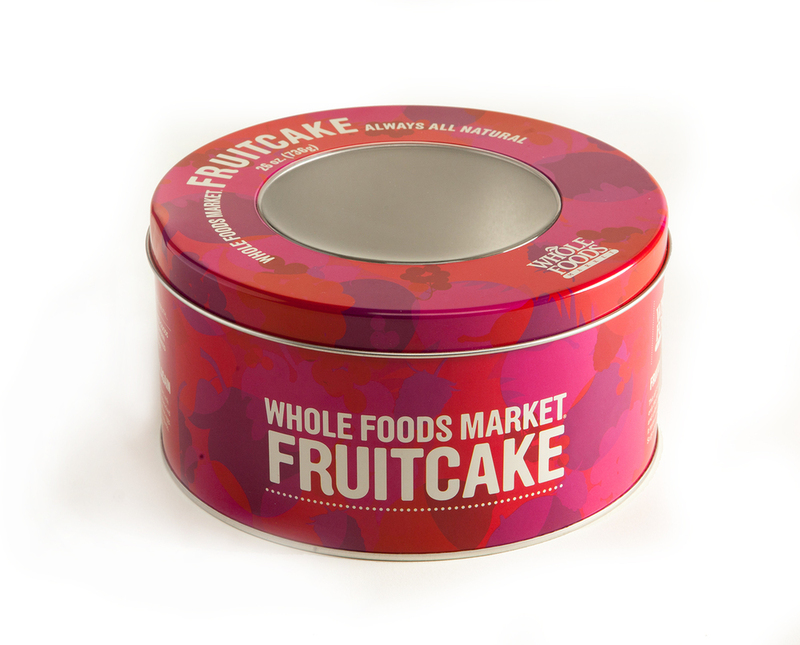 This vintage tin design is a fresh and colorful take on the traditional holiday food. Packaging designed for carry-home wine on tap program, the first of its kind in a United States supermarket. Since this program was the first of it's kind, we had to name the containers themselves. I suggested Old Schooler as it reflected the historical roots of the community visiting the local wine maker to fill their own wine jugs.